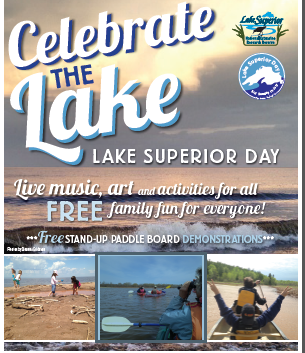 Celebrate Lake Superior Day on the 3rd Sunday in July at Barker's Island! Celebrate at Barker's Island Festival Park, 11 am to 4 pm, with live music, art, and fun. Free activities include stand-up paddleboard demos, canoe and kayak rides, art exhibits and vendors, photo booth, educational activities, arts and crafts, rain garden workshop, native plant sale, farmers market and performances from local musicians. The Lake Superior National Estuarine Research Reserve hosts this event locally. Watch a webinar about Lake Superior Day.